If you are looking for a real estate in La Siesta - Costa Blanca, Casas Espania offers its services so you can live where you have always wanted to live: Spain. If you are a client who comes from Spain and you want to enjoy the qualities of the Costas Blanca (Alicante), we offer you the opportunity to discover them through our wide range of properties for sale. If you are tired of leaving the house and seeing the cloudy sky, that the temperatures are almost always low, of having the sea far away or of not being able to taste a quality kitchen, in the destinations where we offer homes, you will be able to say goodbye to all those inconveniences. 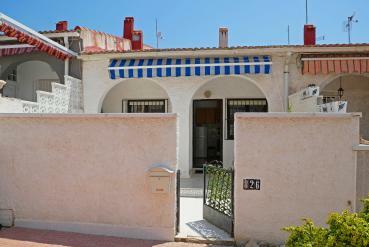 We offer you properties on the Costa Blanca, as well as on the Costa Calida (Murcia). It is two areas of Spain where the climate is very stable and very warm, where the average temperatures are 15º and in summers are multiplied by two, where the beaches are very close and are of high quality and finally, two places where Mediterranean cuisine is your protagonist. What types of properties does our real estate offer in La Siesta - Costa Blanca? Our real estate in La Siesta - Costa Blanca has all kinds of properties for sale so you can meet your goals, regardless of your situation. We have properties for new construction and resale. Modern properties with high quality details. As we have indicated, we offer an extensive range of housing styles. You can live or enjoy bungalows, villas, apartments, flats, plots, duplexes, townhouses ... A list of opportunities to enjoy with your family, of unforgettable moments. So that you can be more sure of betting on our services, our real estate in La Siesta - Costa Blanca opens the doors of your office so you can get to know us more closely and so, you can ask us any questions you have. Come and meet us at the Bizet Street Mall, Local 6 La Siesta - 03184 Torrevieja (Alicante). If you prefer or find it more convenient to call us by phone or contact us by email, call us at 0034 966 785 202 or send us an email to info@casasespania.com. If you access one of these two contact possibilities, we will assist you in a great way so that you can solve your questions.